A few days ago I burned the balance connector on my 2S battery which I used for flying but mainly for checking things were working fine before hitting the field. 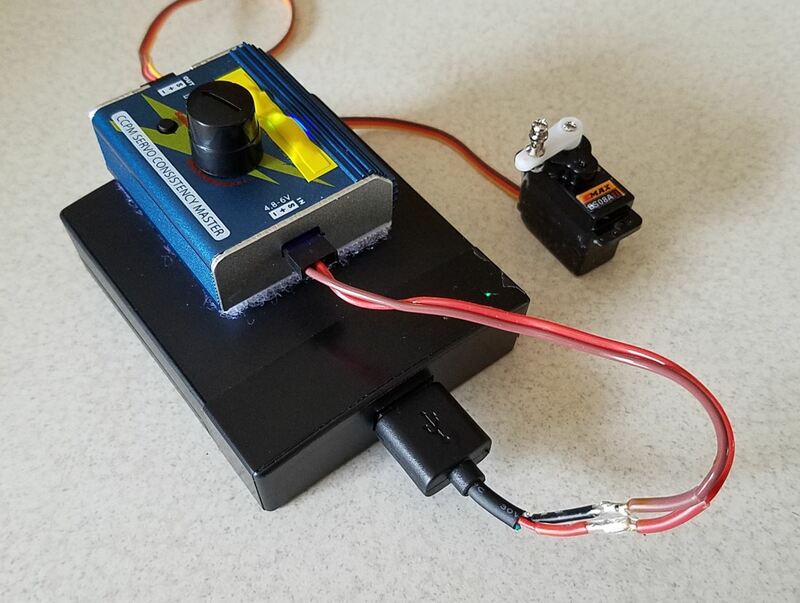 Any how I used it also to power the servo balancer tool that I have because I knew how to use only one cell so not to over power the tool as it needs only one cell of power. Can I do the same with a 3S battery? If so how? You could, just need to connect it across only the ground (black) and the second along. I agree with @CarolineTyler, any 5v source will work. Just splice on a servo lead. Mine uses a Ray-O-Vac portable battery charger. It runs on AA batteries. 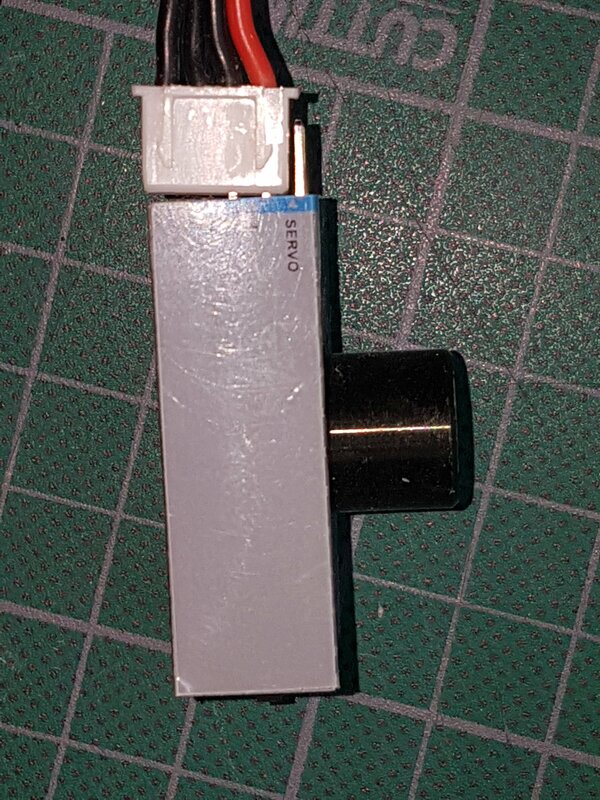 I just bought a little 4 AA battery pack; already had a Futaba J connector on it that fit perfectly into the slot on the power side of my servo tester. Yes, in-fact that is what I use, 4 AA batteries. Similar to what @Gazoo uses. True. The only difference, I guess, is that the phone charger that I use is a regulated 5VDC supply. Four AA batteries would start at 6VDC and then drop until unusable. Either way, they both work great. @CarolineTyler also has a nice method by using the powered USB port on a computer but it would not exactly be portable though. EDIT: I see that Caroline also uses the wall wart and power pack as well. I have also tried to use those cheaper USB rechargeable power banks/sticks but they cannot provide enough amperage and tend to brown out under a load. I do use them for a small 25mW FPV camera though. Oh, related public service announcement. If you are testing an ESC that has a BEC in it, you don't need to plug in separate power since that's what the BEC is for. Generally I don't recommend test ESCs with a sero centering tool burned one that way, might be just bad luck though. Thank you all for the advice. Now I'll be able to connect the electronics for the Tedge tonight . I like the idea of using a usb cable, seems like an option worth having around even if I have a battery laying around. I just use a 4 AA cell tray and a JST plug on mine. I should have a 4 cell tray with a JST plug on it laying around some where need to look for it . You can move the pins to match the +/- if it’s a balance connector type JST. Or put a servo plug on, just use the right pins to match the polarity, you don’t need signal. I am lucky enough I fly Nitro so have a bunch of NIMH 4 cell packs laying around and LIFE batteries only problem using LIFE is the starting voltage is 7.5 and some servos do not care for this much, smoke baby smoke.